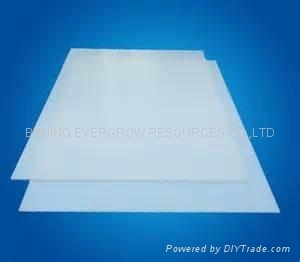 PVDF sheet has the good corrosion resistance ; good mechnical properties;good thermal and electrical properties and good aging resistance ,it's widely used in petrochemical , metallurgy,food,paper ,textiles,semi-conductor,mechical engineering,medcine,nuclear insdustries. and PVDF sheet back with glass fiber can as the good lining materials used in Cheimal popes and tanks. * good chemical resistance include super acids,chlorides and compounds .